Kamar Baldwin brings the ball up the court. Baldwin and the Bulldogs host Xavier on March 5. Jimmy Lafakis/Collegian file photo. After a 21-point loss at Villanova, the Butler men’s basketball team takes on the Xavier Musketeers on senior night. Here’s what you need to know as Paul Jorgensen and Nate Fowler play one last game in Hinkle Fieldhouse. Xavier might be the hottest team in the country. This is not the same Musketeer team that Butler should’ve beat at the Cintas Center on Jan. 13. After a loss to DePaul on Feb. 9, Xavier was 3-8 in conference and losers of six straight games. Since then, they are 5-0 with wins at Providence, at Seton Hall and at St. John’s. Included in that five-game win streak is also a 12-point win at home against Villanova. The Musketeers are now tied for third in the conference with Georgetown and have a shot at making the NCAA Tournament when nobody thought that was possible a month ago. Don’t write this game off as a win because of what happened between these two teams back in January. This is a different team Travis Steele is bringing to Hinkle. The little things hurt Butler in the first matchup between these two teams. 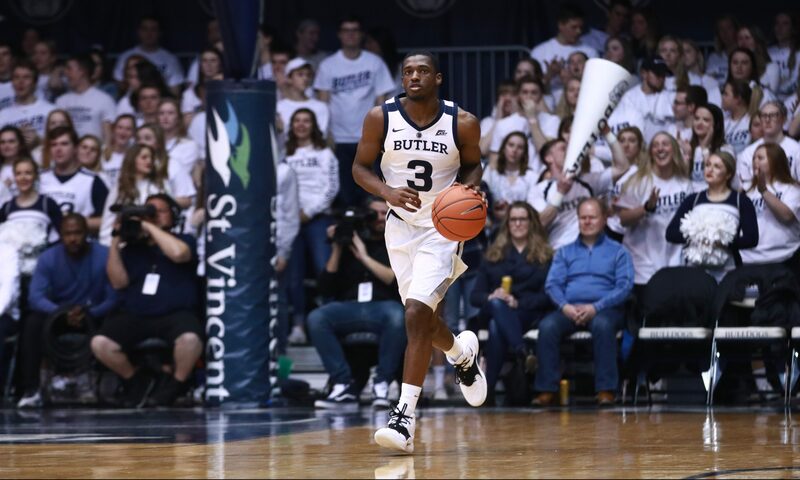 Butler controlled most of the first meeting against Xavier and the box score paints a similar picture. The Bulldogs shot 40 percent from beyond the arc while holding the Musketeers to 25 percent. They held Xavier to under 40 percent from the field and only committed 11 turnovers. But Butler got dominated on the glass and at the free throw line. Xavier pulled down 40 boards to Butler’s 29, including 17 offensive rebounds. They also knocked down 19 free throws winning, that battle by 11. Those two things allowed Xavier to hang around in a game where Butler was the better team and in the final four minutes, the Musketeers capitalized. The importance of a primary scorer.